You might look at her and think that she is an average Midwestern woman. Part of that is true but she is far from average. First of all, Paula is a workaholic who loves her profession and loves to get others excited about their family history. Paula works full time in the area of genealogical and historical research, lecturing, consulting, and writing. She has been a Board-certified genealogist since 1988, passing the every-five-year renewal assessments by the national Board for Certification of Genealogists. She is a firm believer in continuing education in genealogy and strives to keep up-to-date by participating in national and local conferences, reading the publications of many genealogical and historical organizations and individuals both off and online. She completed the week-long U.S. National Institute of Genealogical Research held at the National Archives in Washington, DC. She served two years as a national officer of the Association of Professional Genealogists and has been a APG Committee Chair. 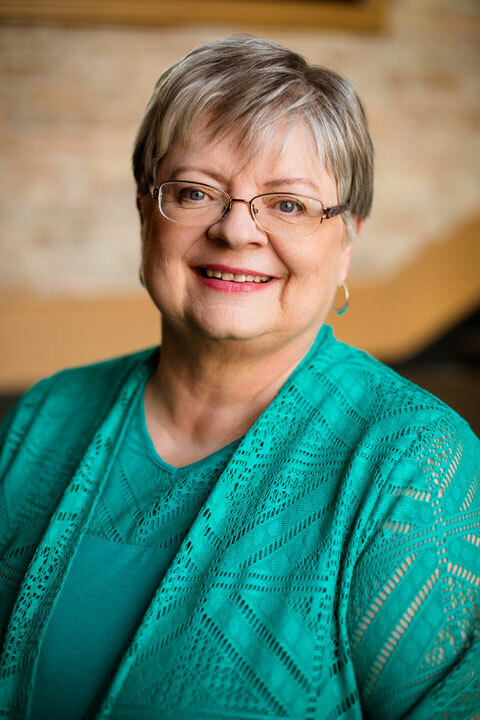 Paula served six years as a board member of the Minnesota Genealogical Society and continues as an active volunteer in genealogical, historical, and professional organizations. She served on the Federation of Genealogical Societies Board of Directors , nd its Conference Planning and Awards committees. Paula was a National Conference Co-Chair for the memorable FGS Quad Cities Conference, held 12-15 September 2001 in Davenport, Iowa, was Co-Chair for the 2011 FGS Conference held in Springfield, Illinois and the FGS 2013 Conference held in Fort Wayne, Indiana. She was the National Publicity Chair for the 2006 and 2009 FGS conferences. She has lectured at NGS and FGS national level conferences since the early 1990s. Paula has written articles for American Ancestors, Ancestry Magazine, Minnesota Genealogist, Digital Genealogist, Family Tree Magazine, FGS Forum, FGS Voice, NGS NewsMagazine, National Genealogical Society Quarterly and NewEnglandAncestors.org. She authored Minnesota Genealogical Reference Guide. She co-authored the best-selling Your Guide to the Family History Library: How to Access the World’s Largest Genealogy Resource. She currently edits her own blog, Genealogy by Paula (previously Paula’s Genealogical Eclectica) and is past editor of the FGS Conference News Blog. Paula has made numerous appearances on television, radio, and has been interviewed for daily newspapers in many cities. Her appearances have included the Minneapolis/St. Paul area, Quad Cities [Illinois/Iowa], Little Rock, Salt Lake City, Fort Wayne, and Seattle. Her in-person historical and genealogical presentations are lively, yet professional and educational. Paula is comfortable with her audiences, and presents practical and accurate information. Each lecture and accompanying handout material is updated prior to each presentation. She is accessible for questions at her presentations and enjoys discussing genealogy with the participants throughout the event day. The visuals and the handout material reflect research in a wide variety of locales. Her lectures have taken her to most states around the U.S. and to Canada. Since 1997 she has been a Course Coordinator for the annual Salt Lake Institute of Genealogy’s American Genealogy Records and Resources week-long intermediate course, which includes classroom instruction and one-on-one assistance in the Family History Library. She has coordinated courses and taught at other multi-day institutes including the Genealogical Research Institute of Pittsburgh that began in 2012. Her research specialties include methodology, research planning, one-on-one consultations, the U.S. National Archives and its regional facilities, the Family History Library, Midwestern and Plains states, Minnesota Historical Society, the New England Historic Genealogical Society, Wisconsin Historical Society, American Indians and unusual records. Paula has worked for clients and her own family history on-site in courthouses, state archives, public and university libraries, and historical societies all across the U.S. and brings that knowledge to her audiences. She has also researched her children’s paternal roots including extensive southern and southwestern roots (Arizona, Arkansas, California, Illinois, Indiana, Kentucky, Missouri, New Mexico, North Carolina, Oklahoma, South Carolina, Texas, Virginia) and the varied ancestry of her grandchildren. A native Minnesotan, she is the mother of three adult children and has four grandchildren and one great-grandchild. While growing up, all of her children could answer basic genealogical research questions that came via telephone when she wasn’t home. Two of her children are involved in historical research but refuse to call themselves genealogists! How are you affiliated with Ancestry.com? I am a fan of Ancestry but am not employed by Ancestry nor do I currently post affiliate links to Ancestry. I try to always identify affiliate links when I do post them. I try to highlight a sale, post, upgrade, or event for organizations and businesses every so often. Came across your website of being Genealogist, I’m trying to locate father, Have been trying off and on now for the 30 years. See where you have information about railroads employees.My birth certificate in 1962 its shows my father worked for the seaboard coastline as construction worker. His name Cecil Colbert Rice, Many years ago I contacted the Company, The name had changed to CSX Train Company. When asked do you have records from back in 60’s or 70’s was told they only had records back to 1977, He was not found on any of there employment records. Have also contacted Vital Statics in Florida and Georgia with letters asking for records of birth, death, marriage, divorce. There was nothing found in either state, Its long story, But my mother would never talk about him to me my high life. She past away in April 2004, Since then I have been on and off trying to locate any information about my Father. All I have is name, Cecil Colbert Rice, no birth, death if he has past, married and divorce. I’ve any tried to go through my mother name Doris Cain Rice and Doris Cain Mc Fadden, she married again but I don’t know what year. Would you be able to help me in anyway? I have order DNA test through Ancestry.com have mailed test kit back, been about 10 days since mailed Ancestry have received kit and are processing. Could take up to 8 weeks is what I was told. Mean while… I’m working on my end to locate information about my father. My uncle told many years ago when I was teenager he met my father with my mother at family reunion, some where in Georgia. Would like to talk with you if possible please. This is my phone number 352-214-4494, I’m in Florida. Thank you for any help you can offer me. I am sending information on my research and consultation services to your email address. I received my DNA results and need some assistance in unraveling this mystery. I have contacted with a person that might be my aunt or half sister. If I send you the DNA results such as segments , SNPs and CMs would you be able to assist me? I am not a DNA specialist but there are others who definitely qualify. Check the directories of https://bcgcertification.org/ and https://www.apgen.org/ for qualified professionals who may be able to assist you. Could I please call and talk to you? I will be glad to pay you for your time. I do offer consultations by phone, email, in-person, and Google Hangouts. I will send you info to your email address. I like the way the scrolling responds to my mouse-wheel– sort of like ice skating! The date function does seem to be 12 hrs off (or maybe just am/pm switcheroo?). I only noticed because my computer time-stamps incoming emails five hours ahead (possibly at one time I thought it was cute to set the time-zone to my brother’s house in Germany) and I do the subtraction in my head, rather than track down the source. Thank you for letting me know. Maybe I just wanted to be in Germany! It’s been fixed.